15% Off $125 Plus Free Shipping at Eastbay.Com. the Best Athletic Gear and Your Favorite Brands! Use Code LKS189YA. Valid Thru 9.30.18. Exclusions Apply! 20% Off Select Apparel! Plus Free Shipping at Eastbay.com. See Price in Cart. Exclusions Apply! Take and extra 30% off Select Styles Plus Free Shipping at Eastbay.com! The best athletic gear and your favorite brands! No code needed. Exclusions Apply! Shop Now and Save 30% on Last Chance Items at Final-Score.Com! Use Code LKS30LC1. Exclusions Apply! Up to 70% Off Select Adidas Product at Final-Score.com! Exclusions Apply! Additional 65% Off Nike, Jordan, Adidas, and More at Final-Score.com! Exclusions Apply! 25-60% Off Select Running Shoes at Final-Score.com! Exclusions Apply! Kids Footwear and Apparel up To 50% Off Plus Free Shipping at Eastbay.Com! Exclusions Apply! Cleats, Running, and Track Footwear up To 20% Off Plus Free Shipping at Eastbay.Com! Exclusions Apply! $25 Off $125 Plus Free Shipping at Eastbay.Com. The Best Athletic Gear and Your Favorite Brands! Use Code LKS18TCA. Exclusions Apply! 20% Off Training Gear! Plus Free Shipping at Eastbay.com. See Price in Cart. Exclusions Apply! Shop NCAA Gear Up to 60% Off and Rep Your School with Pride! Only at Final-Score.com. Exclusions Apply! Gear Up and Save. Take 50% Off Equipment at Final-Score.com! Shop Now and Get an Additional 30% Off Select Items at Final-Score.com. No Code Required. Automatically Applied in Cart. Exclusions Apply! Save Up to 50% on Jordan Shoes, Apparel, and Accessories! Only at Final-Score.Com! Exclusions Apply! Up to 40% Off Select Basketball Shoes! Plus Free Shipping at Eastbay.Com. Exclusions Apply! $15 Off $75 Plus Free Shipping at Eastbay.Com! the Best Athletic Gear and Your Favorite Brands! Use Code: LKSGV15. Exclusions Apply! $30 Off $120 Plus Free Shipping at Eastbay.Com! The Best Athletic Gear and Your Favorite Brands! Use Code: LKSGV30. Exclusions Apply! $50 Off $175 Plus Free Shipping at Eastbay.Com! the Best Athletic Gear and Your Favorite Brands! Use Code: LKSGV50. Exclusions Apply! Save Up to 30% Off Apparel Plus Free Shipping at Eastbay.com! Exclusions Apply! 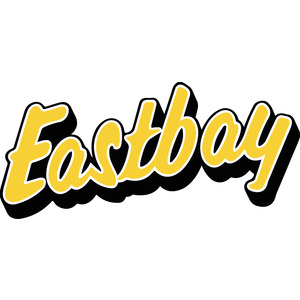 15% Off $50 Plus Free Shipping at Eastbay.Com! the Best Athletic Gear and Your Favorite Brands! Use Code: LKS15OFF. Exclusions Apply!